The introduction and conclusion are the remaining paragraphs to be included into your essay. The introduction should be written in such a way so it attracts the reader's attention and gives him an idea of the essay's focus. This information must be true and verifiable, and it doesn't need to be totally new to your readers. It could simply be a pertinent fact that explicitly illustrates the point you wish to make. An anecdote is a story that illustrates a point. You should make sure your anecdote is short and relevant to your topic. This can be a very effective opener for your essay, but use it carefully. An appropriate dialogue does not have to identify the speakers, but the reader must understand the point you are trying to convey. Use only two or three exchanges between speakers to make your point. Follow dialogue with a sentence or two of elaboration. A few sentences explaining your topic in general terms can lead the reader gently to your thesis. Each sentence should become gradually more specific, until you reach your thesis. If the attention grabber was only a sentence or two, add one or two more sentences that will lead the reader from your opening to your thesis statement. Finish the paragraph with your thesis statement. 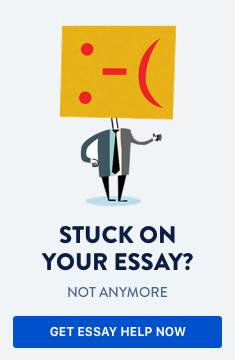 At the end of your essay you should draw a conclusion - sum up your points or provide a final perspective on your topic. The conclusion should be three or four strong sentences which do not need to follow any set pattern. Simply review the main points or briefly describe your feelings about the topic. Even an anecdote can end your essay in a useful way. The introduction and conclusion finalize your essay but there's one more step before your essay can be considered finished.